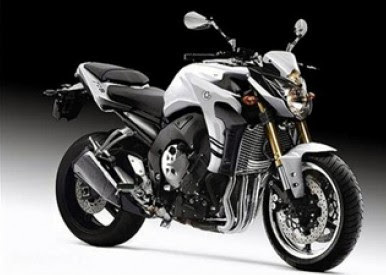 Yamaha Motor UK finally launched the new Sport variant, Fazer8 and FZ8 Yamaha FZ6 and FZ6R instead. Fazer engine capacity of Yamaha Fazer 8 and FZ8 is smaller than the FZ1 engine that reached 998 cc. While the capacity of both the new motor was only 799 cc. Nevertheless, the power and torque is not less then sprayed it with his elder brother, that is 104.7 bhp and 60 lb ft of torque. Meanwhile, net weight 8 that look naked Fazer had reached 211 kilograms (kg), while the FZ8 215 kg. Yamaha offers a choice of devices Antilock Braking System (ABS) in both engines with four-piston monobloc calipers Sumitomo, so that its weight increased 5 kg.